Lombok Island in the east of the island of Bali. Famous for the small islands called Gili. 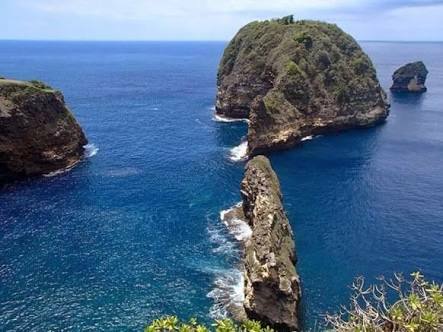 Lombok is also one that has a natural tourist destinations in Indonesia matchless beauty, and became famous as Bali, because of the natural beauty. The beaches in Lombok are very beautiful and still very clean, not like in Bali with a beach that has been soiled by waste from the hotel, and garbage from the polluted river. 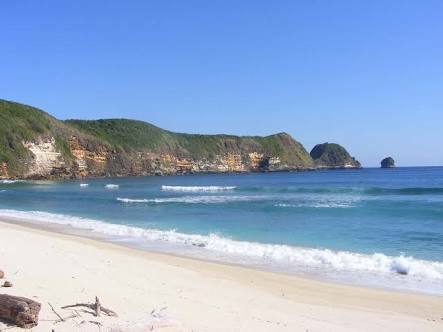 In Lombok there are many virgin beaches that are worth visiting. One of the natural attractions that are in Lombok is Taman Wisata Alam Gunung Tunak. This park has a panoramic view of the mountains. In this place there is also a beautiful beach with water bluish green, and still kept clean, because not many people know this beach. Mountains are located on the waterfront makes this place so unique and different from Bali. Taman Wisata Alam Gunung Tunak in the village of Mertak, District of Pujut, Central of Lombok. From downtown of Mataram, the distance to get to the natural park is about 85 km. About 90 minutes away by car. Taman Wisata Alam Gunung Tunak located in remote areas, to where it must go through forests decorated with various types of butterflies. Poor road conditions are obstacles to get to the location of this tour. It is strongly recommended to use a car for a full SUV through this path. 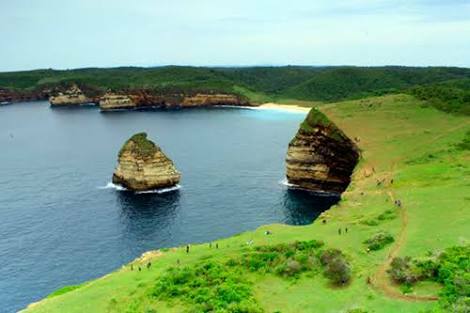 When compared with Bali, Taman Wisata Alam Gunung Tunak the landscape is almost the same as in Uluwatu. There are high cliffs on the seafront, with a bit of white sandy beaches. The sea view from the cliff. Only in Lombok condition is not as green as in Bali. Mountain-gung closer to the sea, there are no tourist facilities whatsoever in this area. Access to the beach is also very difficult. So the beach is very quiet and difficult to obtain tourist facilities for the convenience of tourists. The advantages of the tourist park in Lombok is the nature and panoramas more interesting, with small islands around the coast, the curve of the beach more attractive and beautiful, with pastures wider, making it very comfortable to walk around in this area. This attraction very much deserved to be visited by tourists who love adventure. Bali and Lombok is located quite close. The two islands are very similar in terms of culture, because there are many descendants of people who lived in Bali Lombok. Indeed Lombok is much more beautiful than in Bali in terms of natural beauty. It's just natural conditions in Lombok hotter, water is also less, so as to form a new tourist areas, require enormous funds which Lombok into a tourist area that is convenient for frequent.